The Magic in a Book. I am blessed to have four distinct elements which define who I am. My family; nothing is more important to me than running our home, raising our children and caring for our animals these things are the heart of me, but they are not the whole. My teaching; since qualifying as a teacher in 1992 I have taught children from three years to eleven in a number of schools and for many of those years I led my own department. My writing; for many years this was nothing more than a hobby and only really became something I was able to give my attention to when I began to work part-time. Perhaps the aspect of me that people find the most surprising is my connection to spirit. Several years ago I had a profound spiritual encounter which not only changed the direction of my life but completely turned inside out my perception of this world through which we travel on the journey of our lives, and the enormity of what lies beyond. So these are the four distinct elements of me and it is when these elements come together and overlap that the stories are made. I want to share with you a series of experiences and observations which together have helped to forge the person I am today and which enable me to view my world from a slightly different perspective. Whether you agree with me is a matter for your personal consideration, but still, I invite you to see the world as I do for there is a warmth and reassurance in this space which I find more palatable to the cold harshness of the conventional reality which most choose to live in. Of course, I know there is science to learning but I’m not talking about the science, I’m talking about my observation’s and the wonder unfolding before my eyes and to me this process is magical. When those three-year-olds begin school many have little experience with books. I’ve seen children rip them, bend them, throw them and even eat them; for what else is there to do with a pile of coloured sheets of paper. That is where the magic begins; as gently we tell them, ‘No’. Then we read to them the story and unlock the wonder hidden within the pages which they hold. They look at us with surprise and we share the pictures and tell them they can read this for themselves just by looking at the pictures, and then they do. After a while they notice the squiggly things at the bottom of the page and we tell them they are called letters and words and ask if they want to learn how to read them and they say ‘yes’ so we show them the phonics and how we blend the sounds and we tell them they can make words and read words for themselves; and then they do. 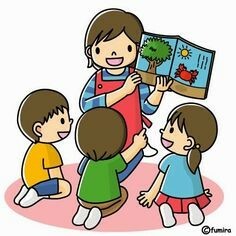 Next, we provide them with simple books with lots of words which they know, full of repetition and laden with rhythm and rhyming and they use their memories to learn these books and we tell them they are reading and they are. Slowly we give them more difficult books to read for themselves with more complex words, less repeating and less rhyme and they look at us with apprehension glinting in their eyes; but then with a smile, for there is magic in these words, we tell them ‘you can read this;’ and they do. Every day we tell them for the magic to work well; YOU CAN DO THIS! YOU’RE A READER! WOW, YOU’RE DOING REALLY WELL! 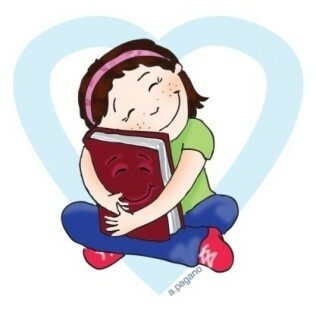 And finally, the magic is complete as you sit back and watch that book thrower, page bender, spine eater, flap ripper. Go to select a tasty morsel from the bookshelf and carry it with reverence to the cushion by the window and open it with excitement and they read it for themselves. How I know it’s magic? Well, you may all disagree but without the magic words of praise, and the wonder in the books our tiny paper munches will continue eating books! Meet author N.L. Osguthorpe on #OurAuthorGang! What a lovely post about teaching and learning. 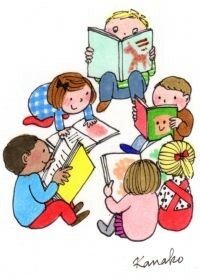 Author N.L.Osguthorpe shares the true magic of learning to read on #OurAuthorGang today. Great post!! Oh my gosh, reading IS magic. Thank you for this lovely post! Thanks for your comment everyone I'm glad you enjoyed it. Working with children brings a special kind of magic into my life everyday. Today on #OurAuthorGang . . . Author N.L.Osguthorpe shares her experiences with the "magic" of books. Reading is Magic with N. L. Osguthorpe. Love it. Great article. I have always felt that reading was magic and spreads magic. Today, we welcome author N. L. Osguthorpe to share The Magic in a Book.